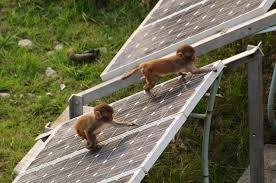 Why PV Testing Labs Are Growing in India? India has launched an ambitious target to install 100 GW of solar power by 2022. The country is slowly but steadily moving towards this goal. In the last year itself, India touched the 20 GW installation mark which is praiseworthy. Both the center and state governments are leaving no stone unturned in this regard as they realize the potential of solar power plants. Not only are these plants easy to build and environment-friendly, but are also becoming economical. Given the lucrative cost-benefit opportunity, more people are thinking of installing solar power plants all across the country. However, what happens if the project does not give the expected returns over the stipulated time period? This can happen for various reasons. The Indian solar installations have literally born the heat – from fire, people and even monkeys But on a serious note, one of the major causes is the inefficiency of solar panels to convert solar power into electricity. Lack of efficient solar panels could hamper the overall plant performance. Since solar panels account for the majority of the cost (70% of total cost), it is imperative for developers to choose rightly. The Indian solar market is expanding aggressively, and there is a large supply of cheap and low-quality panels in the market. Developers need to be wary of these, otherwise, they will end up losing to a great extent. Indian developers have sometimes used low-quality products to cut corners and lower the cost of the projects. all these factors have led to the foundation of these PV testing labs in India. Mahindra Susten, which is among the largest solar EPC companies in India, announced the launch of India’s first mobile PV laboratory for testing of the solar PV modules on site in 2016. Here is a detailed list of accredited test centers for MNRE off-grid programs in India. These centers are required to perform key tests for PV modules across the entire life cycle of the solar PV plant. These tests will go a long way in determining the quality of assets used and to evaluate plant performance. Though we need more such labs in India, to ensure the quality of solar power plants, it is also important for these labs to perform their jobs honestly and not stoop down to unfair means for monetary gains. The country has embarked upon a magnificent journey towards energy transformation. The MNRE has also confirmed new quality standards to be followed by the Indian solar industry – the ‘Solar Photovoltaics, Systems, Devices and Components Goods (Requirements for Compulsory Registration) Order, 2017’. All solar panel sellers in India will also have to apply to the Bureau of Indian Standards (BIS) to obtain registration and only then can they sell the goods in India. Given all these efforts, we hope to see better quality solar projects in the country in future!